Last week, as I was finishing up a meeting, I was reminded of something important: Small talk can leave big impressions. On our way out of the conference room, someone asked about my morning. By the time we parted ways, I had shared my recipe for homemade breakfast burritos (Ro-Tel and spicy sausage are key, in case you’re wondering). It was a mindless conversation by any standard. But here’s the thing: Due to a series of questions, my colleague walked away knowing a little more about me. And I walked away remembering the interaction. In my latest podcast, I discuss strategies for winning in sales. These are my top takeaways. Climb the hill every day. No one ever said sales was easy. It’s a daily grind. And in order to keep your business alive, you must feed it. Talk to people. Show them an opportunity so well that it’s impossible for them to resist. It doesn’t matter if you’re a hunter, who likes finding new prospects, or a farmer, who cultivates existing contacts – you’ve got to add a new connection every day. After all, without a full pipeline, you’ll never have any pipeline to nurture or close. Put in the work and you’ll reach the top – exhausted but exhilarated. Ever been on a blind date? That’s how first meetings are. You’re there to see if you’re compatible, if the relationship is a good fit. The only way to learn that is by asking questions. Is it uncomfortable? Yes! But that’s good. That’s how you discover the consumer’s challenges and address their objections. That’s how you make them realize the opportunity they wouldn’t have otherwise dreamt about. That’s how you help them visualize the future. If you ask the right questions, you’ll each learn everything you need to know. If at first you don’t succeed, try again – seven more times. There’s no way around this: You must overcome your fear of rejection. A “no” is actually a crucial factor to your success. In fact, you need to hear no more often than you hear yes. When you hear a “no,” turn it into a “not now.” Use it to figure out how you can come back and deliver more value. Consider this: Most sales are made after the eighth attempt, but the majority of salespeople give up after the second attempt. It may take seven tries before the consumer sees you for the first time. Seven! Stay the course, but don’t be afraid to change tactics. While you’re at it, stop worrying about getting everything right. It’s never going to happen – and that’s okay. 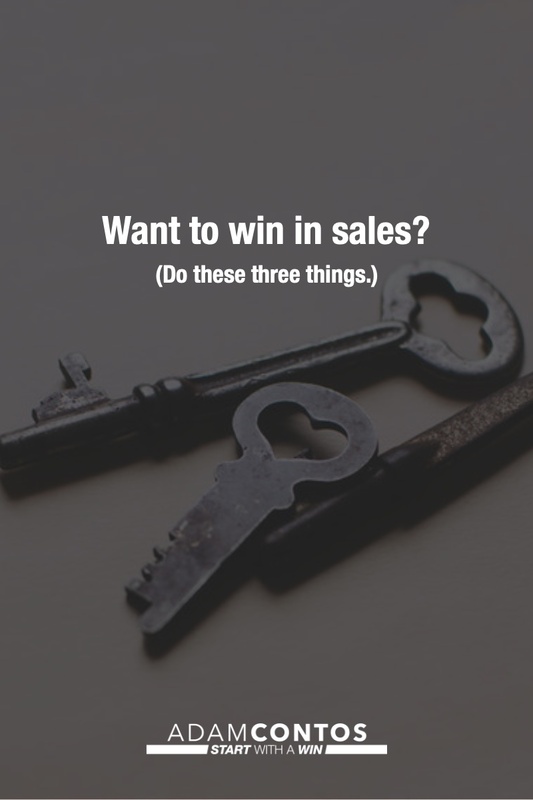 Interested in discovering more actions for winning in sales? Listen to the full podcast here.